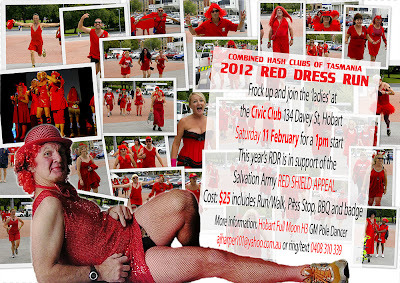 Saturday 11th February 2012* - 1pm start from Civic Club, 134 Davey Street, Hobart. $25 - run, food, grog and badge. 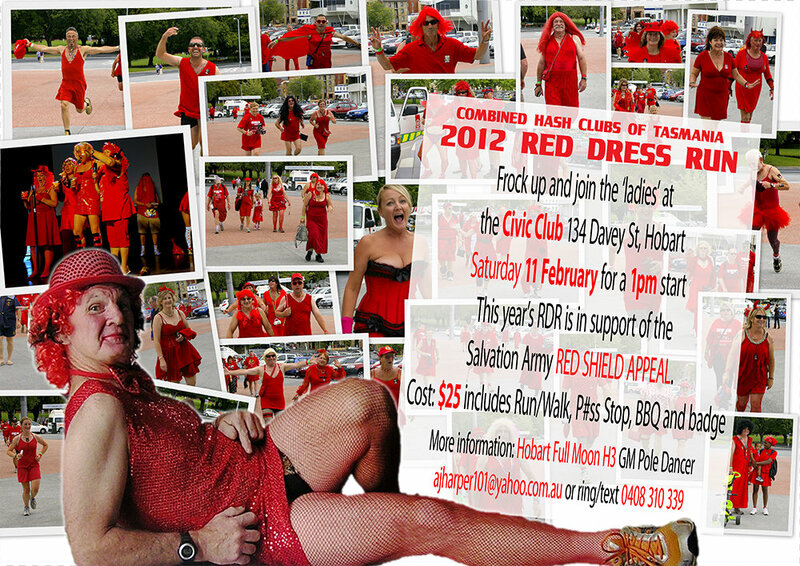 Run in support of Salvation Army Red Shield Appeal. But don't forget this weekend (22 and 23 Jan) Burnie Hash and Devonport Hash all run from Knickers and Ratchet's summer residence at Port Sorell. Run starts at the Rotunda BBQ area at 530 for Burnie's run on Sunday and 630pm for Devonport Hashers on Monday. Motorbikes will be the preferred mode of transport for Monday's run, and bikes leave at 6pm from Crow's Oz Rock!